Japan is endlessly fascinating with its incredible natural landscapes, neon-lit cities, and distinct culture. Visit Japan to get whisked from one end of the country to another on a high-speed train, the next you can gently cycle through the Land of the Rising Sun’s quieter corners, with barely a soul in sight. And with exceptional food to boot, travelers who visit Japan are in for a treat. Here ancient customs, craftsmanship, and religion are intertwined with cutting-edge technology and fashion-forward style. Everything in this amazing land is so different from Western norms, that you are bound to find yourself pleasantly disoriented as you attempt to navigate it. Most attractions and diversions are open as usual and looking for places to visit in Japan may be a bit of trouble without proper help. 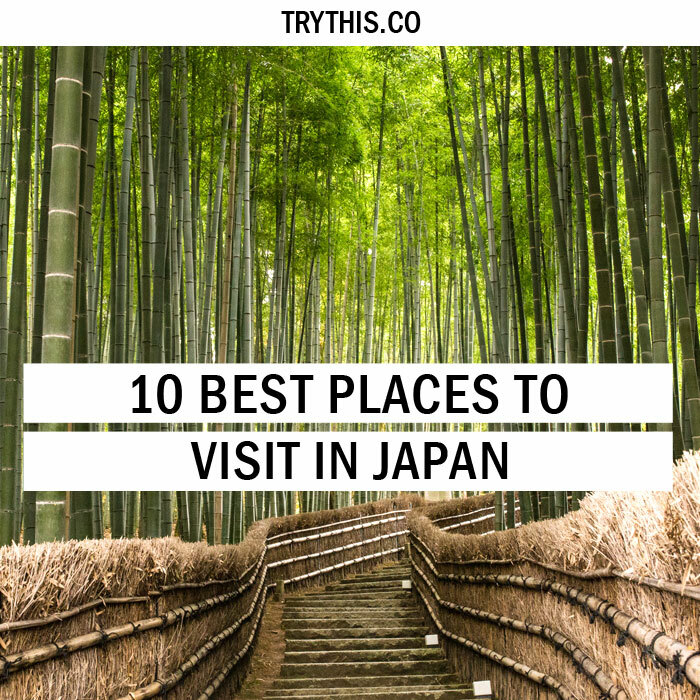 To help, we have pulled together a list of some of the places to visit in Japan when you visit the country. Which places to visit in Shibuya, is not a question if you are an urban bunny. Shibuya is the Tokyo of your imagination. Crowds of people rushing past you, neon lights, giant video screens – and the world’s busiest pedestrian crossing. It is home to the eccentric fashions of Harajuku, department stores and boutiques, post-modern buildings, and many different museums. Also known as ‘The Scramble’, this intersection, in front of Shibuya Station, as all the lights turn red at the same time, and hundreds of pedestrians surge into the intersection from all sides. Here you are well-placed to discover the teen culture vibe of this area, centered around the bright and lively pedestrian street Center-Gai, lined with restaurants and high street fashion shops. Next to the Shibuya train station is the statue of Hachiko, a legendary dog that waited for his late master, every day in front of the station, for twelve years. 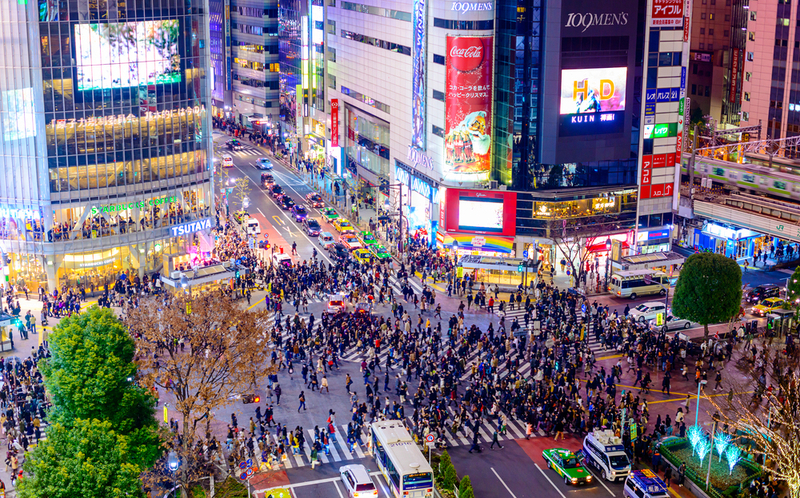 The surrounding area is known as Hachiko Square and is the most popular area for locals to meet. This is first one of the places to visit in Japan. 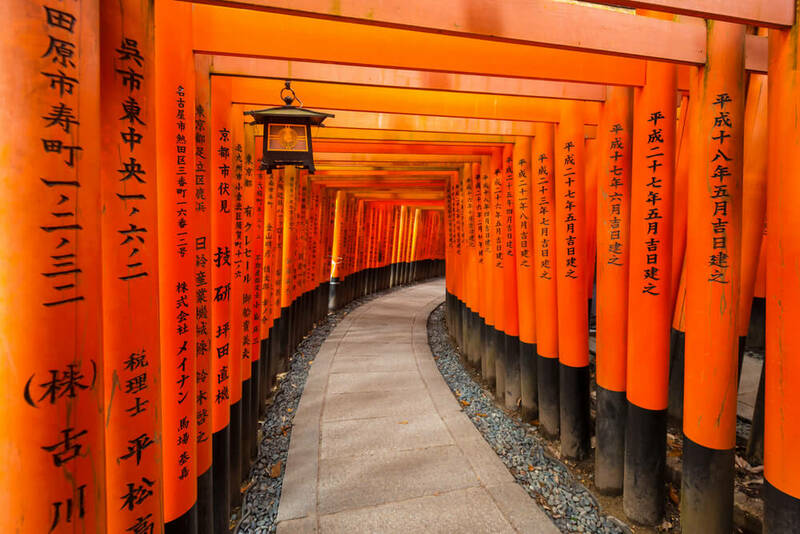 Dedicated to the gods of sake and rice, the Fushimi Inari Shrine is one of the oldest Shinto shrines in Japan and is an absolute must-see when visiting Japan and tops the list of places to visit in Japan. Five shrines dot the forested temple grounds, and the arched red lines of torii gates straddling the pathway leading up to Inari Mountain are a truly iconic sight. You will also see plenty of stone foxes at this temple, another symbol of Shinto. A lovely place for a stroll in rural surrounds, there are fine views of Kyoto from the top of the torii gate pathway up the mountain. Stop off for a sustaining bowl of tofu soup at the small restaurants along the way. The Fushimi Inari Shrine is on Kyoto’s south-eastern edge. Kyoto is the capital of the geisha world. 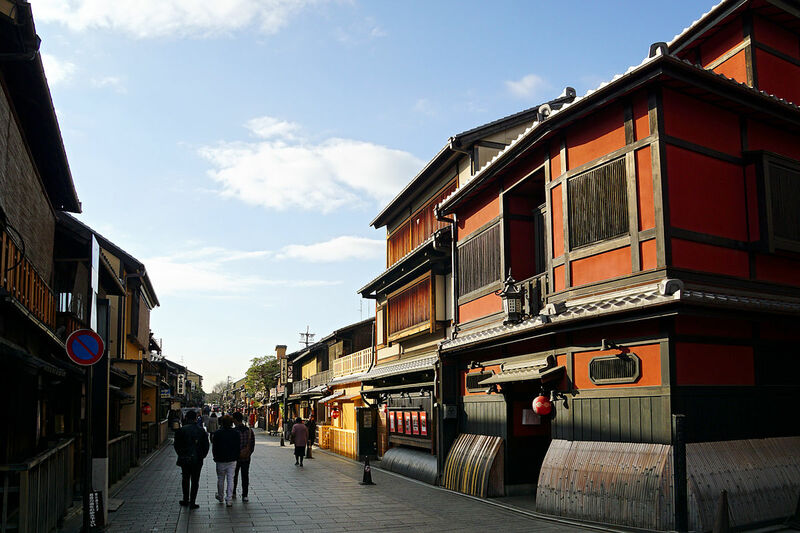 The city’s Gion district, a warren of narrow cobbled lanes lined with well-preserved wooden buildings, is geisha central and most of the time the first place to come in mind if you ask which places to visit in Japan. From tea ceremony to the twang of the Koto, Ikebana floral arranging to puppet plays, Gion dramatizes and explains the ins and outs of the esoteric world of Japanese traditions. Strictly speaking, in Kyoto, geisha are actually called ‘geiko’, or ‘maiko’ if they are still in their five-year apprenticeship. Wander through certain streets in Gion at around 5.30pm, when the maikos and geikos are walking to work, and you might catch sight of these beautiful red-lipped, kimono-clad entertainers. There are two performances each evening, plus an on-site photo gallery and the opportunity to experience tea house hospitality at a traditional Kyoto banquet, hosted by geisha. The refined traditional arts of Japan are highlighted for visitors at this place, an entertaining and informative nightspot. 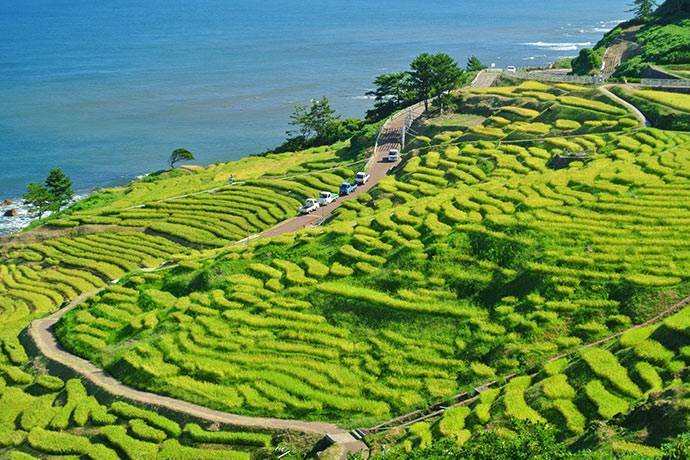 On the Noto Peninsula, Senmaida, which translates as ‘One Thousand Rice Fields’, snakes up the hillside beside the Sea of Japan. There are actually 1004 terraced rice paddies, illuminated with 21,000 solar LEDs after the harvest (mid-October until mid-March). Once a common sight in Japan, this ancient method of farming is vanishing. This most definitely is the next in line for places to visit in Japan. Visit Japan to get a look at this wedding-cake-like castle, which looms dramatically over its surrounding moat and gardens. Japan’s third-largest city, Osaka used to be the country’s base for trade with Korea. Merchants would set up around the castle in the 16th century before the city became the busy economic hub it is today. The central building is five stories outside, and eight stories on the inside. 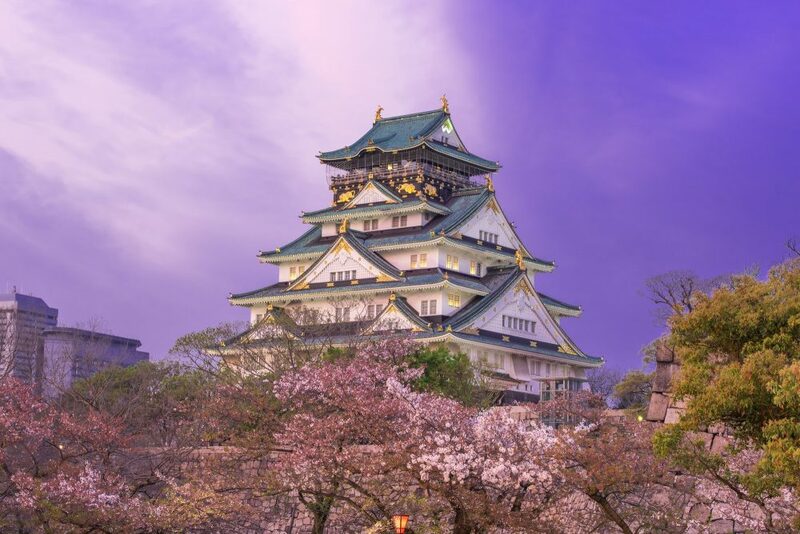 Osaka Castle was nearly destroyed during World War II when used as one of the largest military armories. The castle you see now is actually a reconstruction of the original, built in 1583 by General Toyotomi Hideyoshi as a display of power. 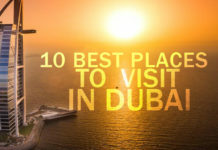 A highlight of a visit to the castle is its fine collection of historical displays, its gilt details, and the great views of the city from the observation deck. Marvel at the displays of art and armor inside, or simply cycle through the castle grounds to glimpse it from all angles. At this point which places to visit in Japan should not be a problem anymore. So here is another we recommend. 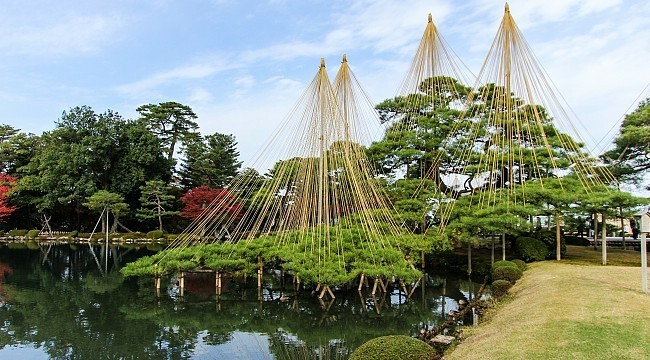 Located in Kanazawa, this Edo-period garden is ranked as one of Japan’s top three gardens. 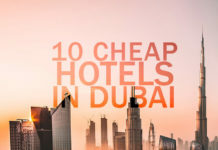 Beautiful in all seasons, it is home to teahouses, pagodas and the country’s oldest fountain, which operates using natural water pressure from the pond above. The Kotoji Toro, a two-legged stone lantern on the edge of the mirror-flat Kasumi Pond, is one of the best-known symbols of the park. Go early to avoid the crowds and maximize your chances of peaceful reflection. Crunch through the gravel as you stroll past a lilypond in the grounds of this Zen temple, founded in 1450. Here you will find a rock garden – one of the symbols of Kyoto and one of Japan’s best-known sights. Sit in quiet contemplation as you gaze at the oblong of sand, with a collection of fifteen carefully placed rocks, seemingly adrift in the sea of sand. No matter where visitors view Japan’s most famous rock garden, at least one rock is always hidden from sight. 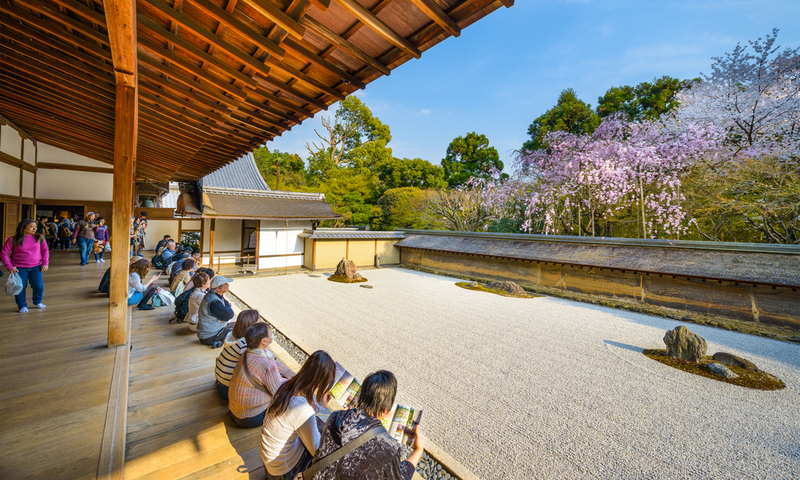 That is one of the reasons that Ryoanji, a temple with an accompanying zen rock garden, attracts hundreds of visitors every day. This design, by an unknown artist, has long baffled historians and entranced visitors. The temple also features traditional Japanese paintings on sliding doors, a refurbished zen kitchen, and tatami, or straw mat, floors. Some have said the garden represents infinity; others see it in an endless sea. Ryoanji Temple is nestled down a wooded path that crosses over a beautiful pond with several walking trails. The luscious setting is as attractive as the temple itself. Which places to visit in Japan can get confusing if you don’t know what to look for and where. Lake Motosu is the westernmost and third largest of the Fuji Five Lakes, which are situated at the foot of Mount Fuji. The lake is said to have been divided by an enormous lava flow from Mount Fuji and remain connected to this day via underground waterways. Activities on and around the lake include fishing, hiking, boat trips, and a number of watersports, and there are a few campsites around its shores for visitors looking to spend the night. The annual Fuji Shibazakura Festival is held in the area surrounding Lake Motosu. 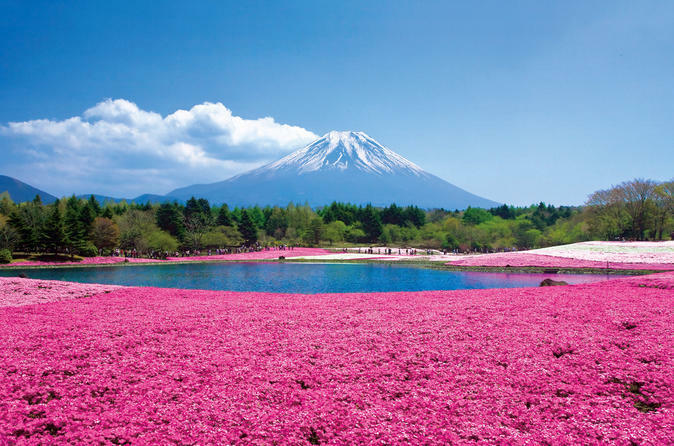 It takes place between April and May when fields of pink moss flowers bloom together, with the backdrop of the mighty Mount Fuji in the background. Crane your neck and look skywards as you enter a world made up of seemingly endless stalks of bamboo and dappled green light. 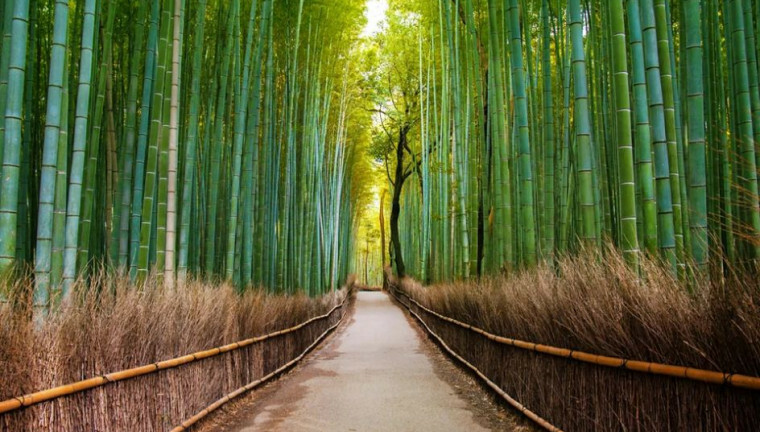 This magical bamboo grove, in Western Kyoto, is sure to be unlike any forest you have ever encountered. The perennially popular area is rich in temples and a riot of fall colors in November, with pink cherry blossoms in April. Walking trails wind through the bamboo grove, with thin, tall bamboos lining either side. Sunlight filters through the narrow trunks, casting shadows along the path. Beyond the grove, one of the best ways to experience Arashiyana is on a bicycle. In addition to the bamboo groves, there are numerous temples to explore, as well as the river and the well-traveled bridge. This idyllic nook on the outskirts of Kyoto should not be missed. The grove runs from the north gate of Tenryu-ji to just below Okochi Sanso villa. 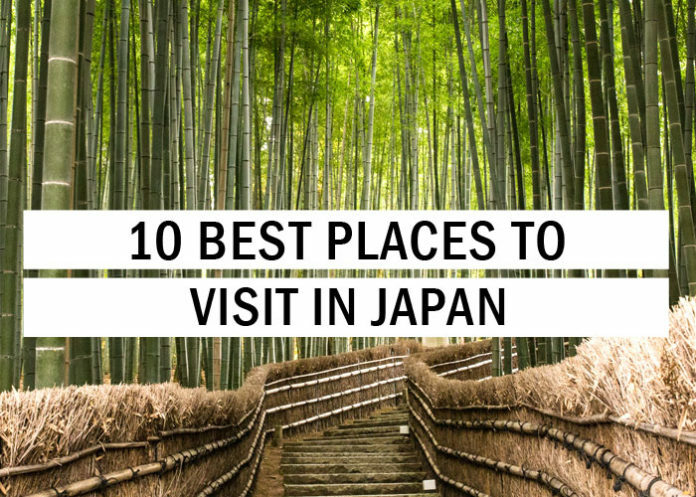 This place most definitely dominates the charts for places to visit in Japan. You cannot leave Japan without visiting one of its many fish markets. Some figures say the Japanese account for 10% of the world’s fish consumption. And it is easy to see why when you wander through Nishiki Market in Kyoto and Tsukiji Market in Tokyo. Fist-sized oysters, severed fish heads, bright red octopus and eel skewers are all on display. These are one of Tokyo and Kyoto’s best spots for a sushi lunch as it does not get much fresher. Jetlagged travelers should ward off grogginess by heading to Tsukiji’s famous tuna auction, which kicks off around 5 am. 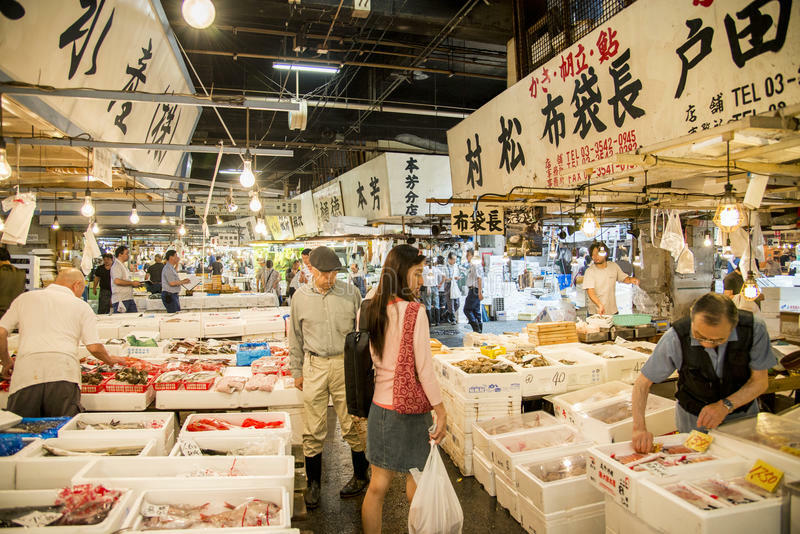 These markets are often visited with a tour guide on fish market tours, which are also combined with other Japanese cuisine experiences, such as sushi making classes, cooking classes, and tastings. Visit Japan to experience this one of a kind markets that tops the list of places to visit in Japan in a traveler’s interest.